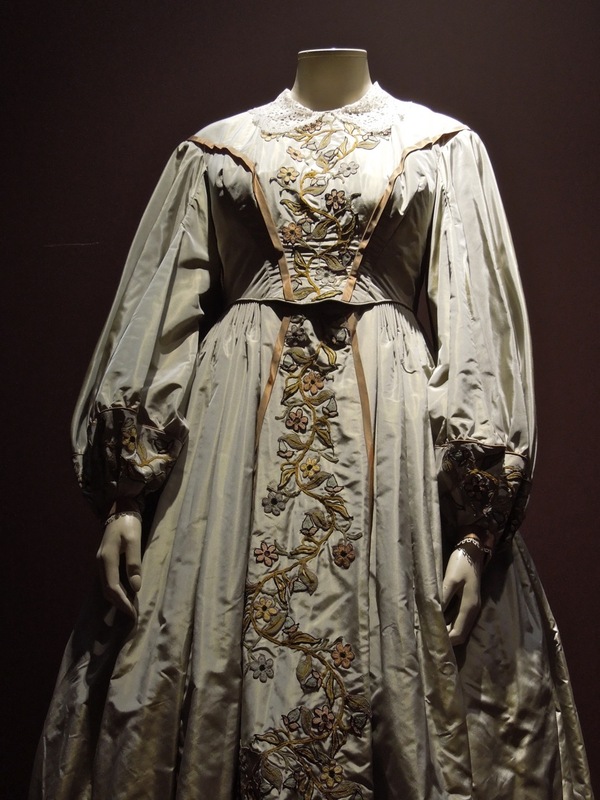 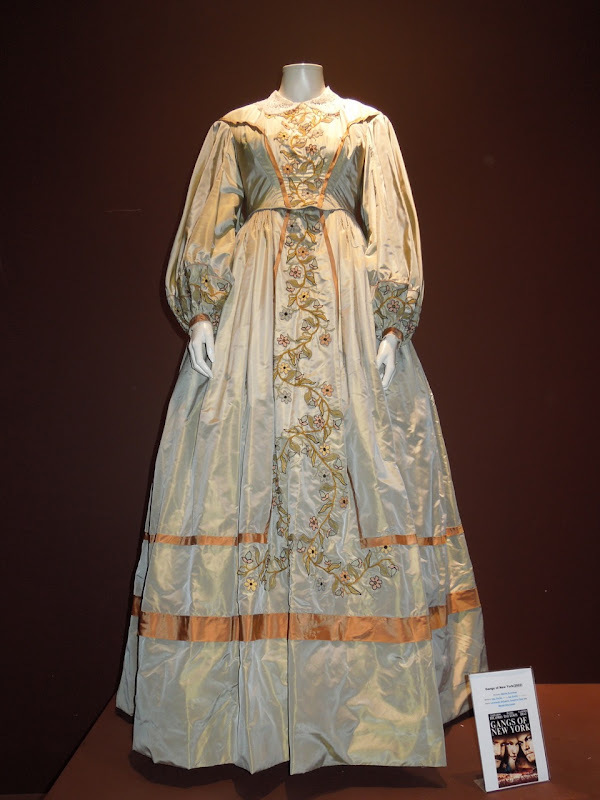 If you like historical and period dramas, then you'll love this dress worn in Martin Scorsese's 2002 Gangs of New York movie, which set in 1863 in the Five Points district of New York City. 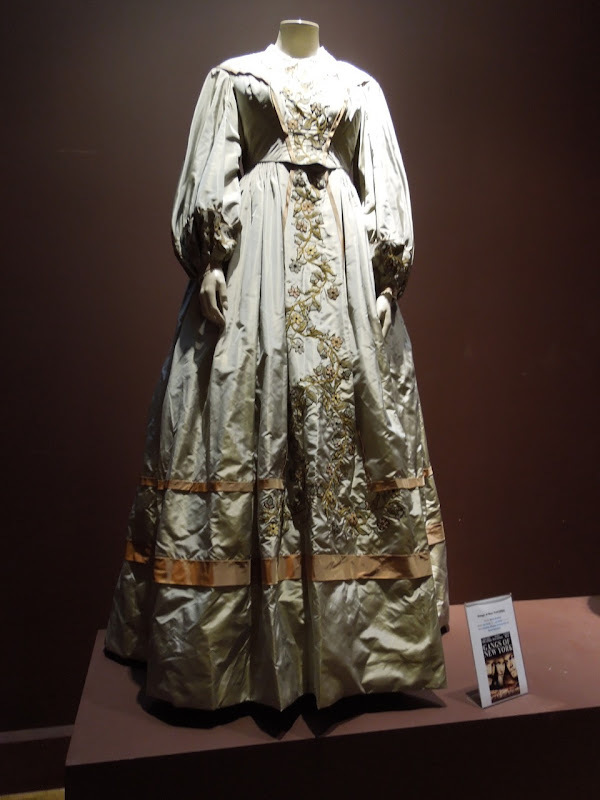 The gown designed by Sandy Powell was photographed on display at the London Film Museum on May 15, 2012, although the signage didn't indicate whether it was an actual costume worn by Cameron Diaz as 'Jenny Everdeane'. 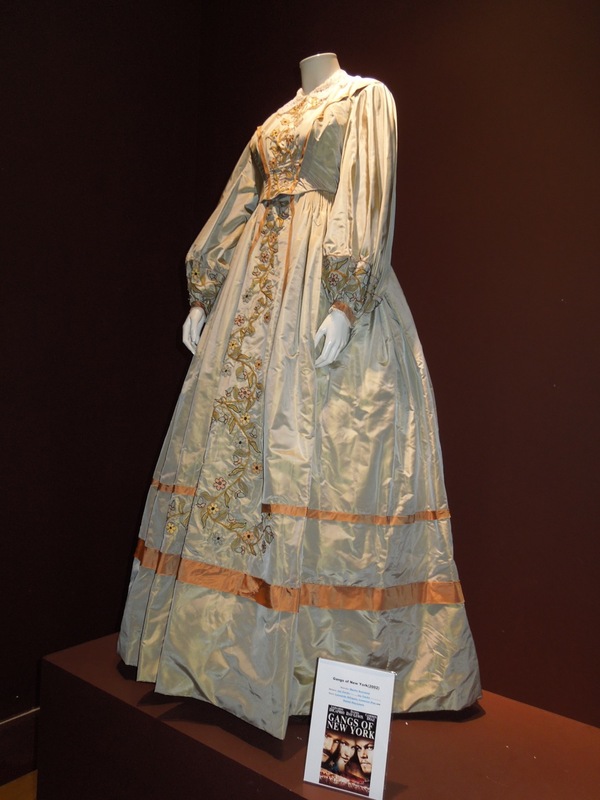 You can also check out the Oscar-winning Costume Designer's work in Hugo and these costumes from The Tempest. 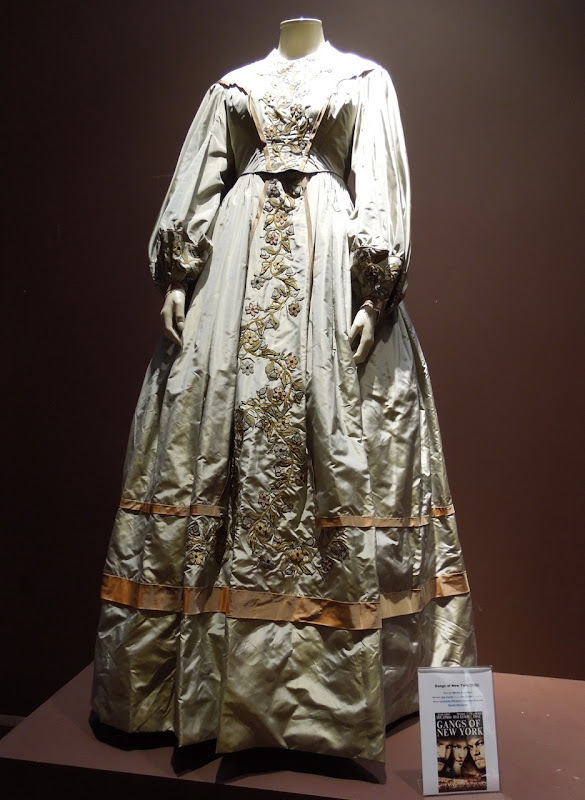 If you're a fan of this period style, be sure to also check out Keira Knightley's gown from Pirates of the Caribbean and Cate Blanchett's royal dress from Elizabeth: The Golden Age on display.